Awesome. 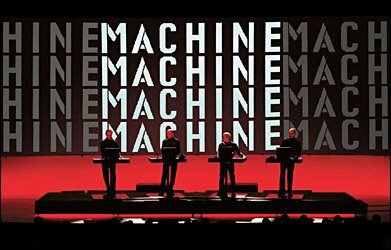 I love Kraftwerk. You've got a great looking blog here, BTW. i love blog entries that have no comments and pictures with no explanation. links to pages with flash i dont want to load and languages i cant understand. keep up the good work of informing people of these great musicians.